The Xbox 360 was one of the most defining consoles available. Unfortunately, Microsoft plans to cancel it. Let's take a look at the exclusives that made the console so great. 5 PC Games with A+ Co-op experiences. Castle Crashers adds "Barbarian Makeover," adding a mini game and updated graphics. Castle Crashers Remastered is free for owners of the original game on Xbox 360. A Steam version is promised but the details are up in the air. Here lies the five best co-op games on Steam. Here's your list of the funniest video games out there to place on your must-play list! There's very little news here, but lot's of room for speculation. What do you think Castle Crashers creator The Behemoth will create for Xbox One? Games for couples to enjoy together on Valentine's Day. 10 games to help entertain you and your family. Moms want to spend time with their kids. Here are 10 games that may get your mom to start asking you to join a game. 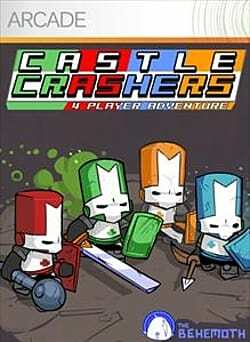 No one has reviewed Castle Crashers yet! Played Castle Crashers yet? What did you think?